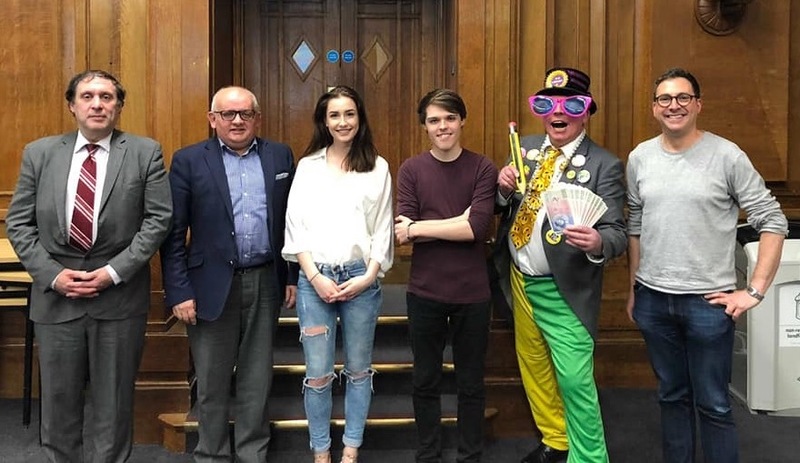 I was both honoured and delighted to represent this great party of ours on a ‘Question Time’ style event at the University of Westminster’s Portland Hall, Wednesday 21st. March 2018. Shelly Asquith – Political Advisor for Unite the Union, Former NUS VP and Youth Coordinator for Corbyn’s leadership campaign. Paul Canal – Conservative Party Deputy Chair of London Region and Leader of the Conservative Group on Redbridge Council. Kevin Sefton – Prospective Parliamentary Candidate for the Liberal Democrats in Westminster. Freddy Vachha – UKIP London Chairman and Former Parliamentary Candidate. ‘Mad Mike’ Young – Official Monster Raving Loony Party Shadow Minister for Beer. Do you think that Theresa May’s response and subsequent decisions to the Salisbury situation are adequate? Given the recent revelations surrounding Cambridge Analytica and Facebook, is it time that we regulate social media companies more, particularly in reference to political campaigns? After the government’s announcement of an NHS pay rise, should all public sector workers now receive one also? This event is taking place in a university, how do you and your party view the £9,000 annual university fees and the monumental debt students hold once they’ve graduated? Is the Brexit transitional arrangement a satisfactory answer to the Northern Ireland border issue? Given the rise in All Women Shortlists, how relevant is the implementation of so-called ‘positive discrimination’ for minorities in today’s society? The audience, mainly students, were exceptionally well-behaved and rather subdued if anything. But the biggest response of the night was for an answer by yours truly! To the question about student fees and debt my reply was to abolish fees and waive all debts, instead issuing each student with a bursary of one million pounds. I flourished a fan of our famous million pound notes and asked them to form a queue. This was met with thunderous applause, cheering and whooping, so we can honestly say that our Party was the winner on the night.